After the riots, Cincinnati’s historic inner-city core—Over-the-Rhine—is at a critical point. Mike lives in the neighborhood's homeless park, but he's trying to get out and is on the hunt for a job. As the city fast-tracks upscale investment, things change quickly. 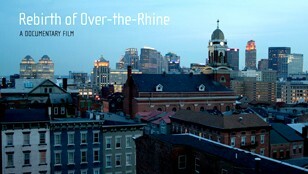 Rebirth of Over-the-Rhine chronicles the dramatic revitalization of this architecturally remarkable neighborhood from a half century of neglect. The story covers six years, from the perspective of developer/architects, city council, new and old residents, and the homeless. The film provides intimate insight into how an American community fights for personal, economic, and political power, and ultimately creates a new neighborhood. 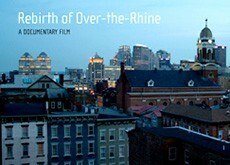 Please indicate Rebirth of Over-the-Rhine in the memo line.